Now, we Blackheath Radicals rarely frequent the local ale houses. Well, certainly not every evening and certainty not for hours on end. But what little knowledge we do have on such matters deserves sharing with other local revolutionaries. For if one thing is true, it’s that when the revolution comes it will do no good to anyone to be sober. 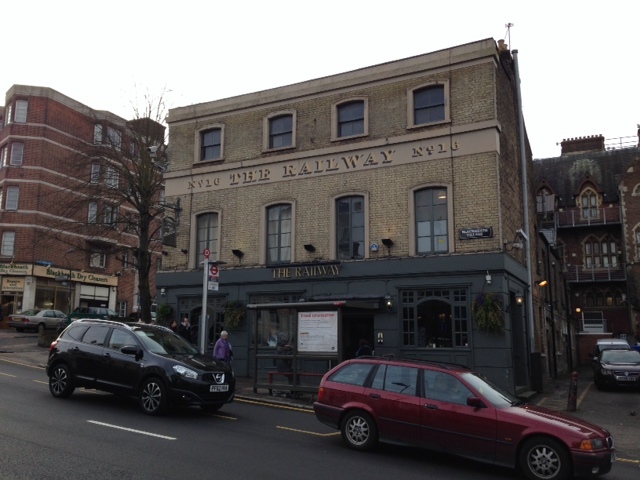 So here is our Radical, irreverent, informative but hopefully non-libellous guide to the pubs in and around Blackheath Village. If you happen to turn right immediately upon leaving the station then you’ll soon reach the, er…, Railway. This is not a bad pub at all. Its location makes it ideal for pre-train journey drinking (especially important since the ban on drinking on public transport); it takes one minute flat from downing a drink to being on Platform 1. There’s selection of decent ales (four pumps from our collective memory) and the range of food is better than average for a pub. For we Radicals it is perhaps a tad food-focused during the day and correspondingly very ‘family-friendly’ (ugh!). However in the evening it is very lively – in part due to the frequent events, including an open mic night. For at least one Radical, until very recently, one of the selling-points of this place was the excellent smoking lounge on the roof. And even if you’re not a smoker it affords great views of the village. Talking of views, the bar hangs local art work on its wall available for sale. 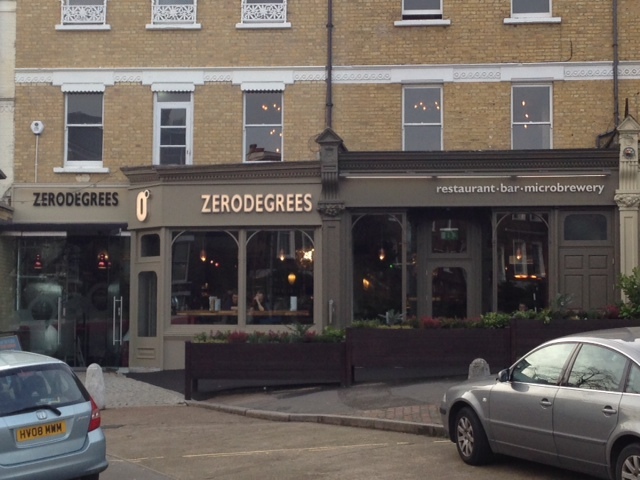 If you can get beyond the glass door – a new and unnecessary addition – this is one of the Radicals’ preferred pubs in the village. A Shepherd Neame brewery pub this has a great location at the top of the village – ideal for sitting outside and watching the traffic go by and frequently pathetic attempts at ‘parking’ (yes, Radical conversation can be a tad slow on occasions) and well located to take drinks on the Heath in the plastic cups the bar provides. 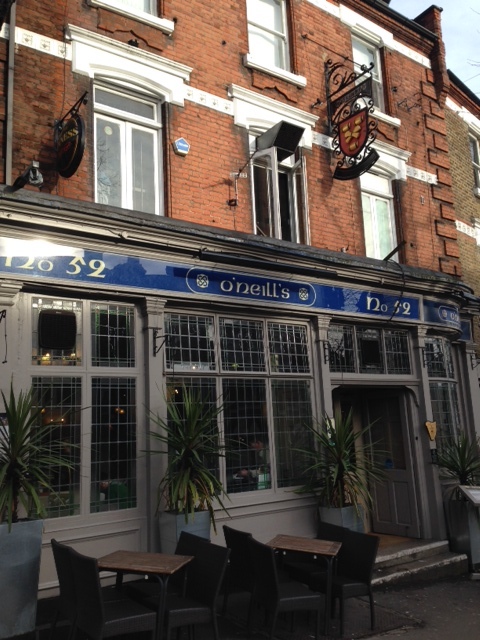 Good selection of Shepherd Neame ales (six pumps) as well as lagers and standard pub grub. It hosts regular comedy nights and has an upstairs function room. This is one of Blackheath’s oldest pubs and there’s a fascinating history board to the right of the aforementioned drafty glass door. Smaller than the Railway and (according to at least one Radical) perhaps the space could be better used to have more seats, this place has ‘locals’ feel that is endearing and is a great choice for a quick post-work pint. The only major chain pub in the village, and we are better off for it… It is no pot of gold at the end of the rainbow, but it is light, airy and well presented. (The free Radical who needs to sit down a lot appreciated the abundant seating, another notes the booths are like sitting on a pew in a catholic church). The food is cheap for pub food and they do standard fare (burgers etc.) which is filling and tasty. Real ale selection is very limited. Whatever people think it is often busy and lively of an evening. Plenty of TVs with a variety of live sports. Live music is understood to take place there. This is the village’s microbrewery that incorporates a restaurant. A refit in late 2013 significantly expanded the restaurant from a small but pleasant pizzeria to a very large restaurant (larger than the original bar area). The bar area is relegated to an anteroom for the restaurant. For these Radicals this is a disappointment. That said the ale (wheat, IPA and others) remains good. It needs further investigation to determine if the vibe of late-afternoon prams and orange juice – ugh! – changes in the evening. The toilets are now a significant trek (one free Radical had an ‘adventure’ finding them). 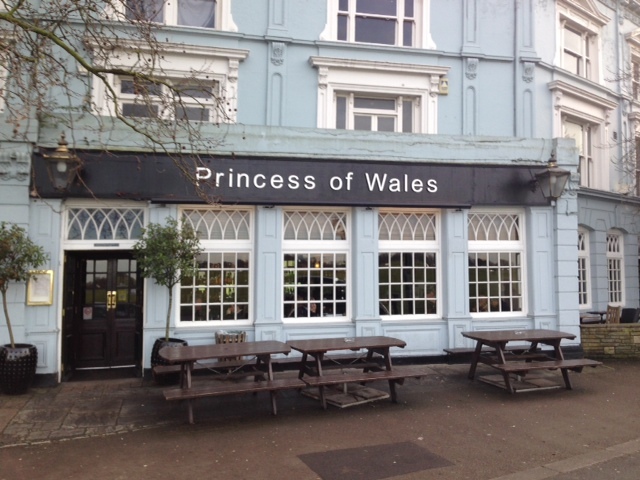 It is at this point only fair to point out that we Radicals are by nature pre-disposed to this pub on account of its commendable royal links. The only let down, for anyone of a true royal bent, is the sign on the heath featuring the profile of the wrong (and latterly non-HRH) Princess. Moving on, it is perfectly located on the edge of the heath for summertime drinks (plastic cups) and all year round entertainment such as the start of the London Marathon and annual Guy Fawkes night fireworks. The pub is a decent size with plenty of seating (see posts passim) and a large beer garden at rear. The front bar is particularly welcoming in winter. It should be noted that on the whole we have refrained from making comments on toilets in other pubs but at the turn of the decade those in the PoW used to be rather pungent. Thankfully they have now improved to acceptable Radical standards. An anthropological highlight on a warm summer weekend are the huge crowds gathered opposite on the heath, providing endless entertainment for the keen people-watcher. From clumps of chavs (from down the line) jostling one and other for heath ‘silverback status’ to picnicking families. 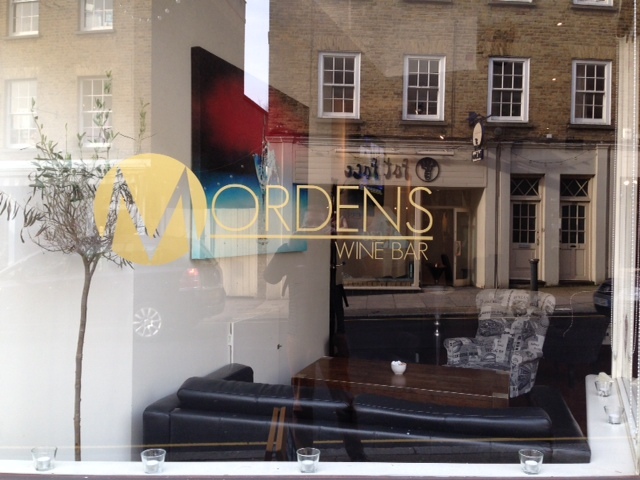 This is a wine bar. Repeat wine bar. It hardly screams revolution and, as a consequence, it’s not easy for your self-respecting Radical to review it. To say we’ve yet to step foot in the place is quite true. Indeed, its predecessor in the same location, also a wine bar called ‘Cave Austin’, once refused entry to one Radical on the basis that he was wearing shorts. No doubt it’s a lovely place. Let’s just leave it there. The final pub in this review, the Hare and Billet is just outside of the village proper, up Tranquil Vale towards Goffers Road. 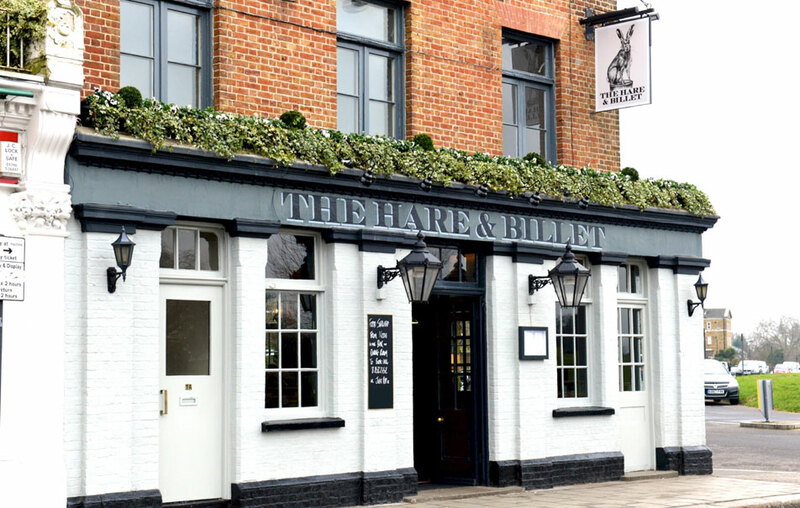 In fact it has, and is on, its very own street – Hare and Billet Road (which came first, the pub or the road?) and is well worth the short walk to get to it. Recently renovated to a very high standard it looks as though the food is similarly top quality. There’s a very good selection of ales and wines and the bar staff seem happy to let customers try before they buy. 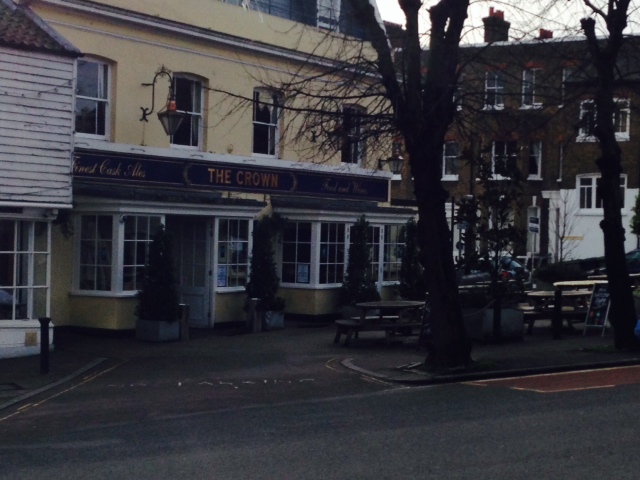 Plenty of seating and a really special location make it a must visit on any Blackheath pub crawl. Like so many pubs these days there is a strong focus on the food and as a consequence, you guessed it, the Billet is quite family friendly (ugh!!). Nonetheless, with possibly the best selection of real and local ales in the village, plus ciders, perries, and real lagers, this is a pub in which any Radical would be happy to spend a few hours. The Dacre is a fantastic pub just to the south of the village. To many it is the stuff of legend, primarily as it is tucked away on Kingswood Place (about 10mins walk from the village). The staff and landlord are welcoming and there is always a good selection of real ale. The pub is ‘traditional’ – that is to say it does not have pastel shades on the wall, had a bland makeover, or has deliberately mismatched furniture – and all the better for it. You will not find food either, only scampi fries and crisps. In summer there is a large and pleasant beer garden for the summer and in winter the real (yes, not gas like The Crown) fire will keep you warm. This pub is well worth the short walk from the village. Red Lion Lane, just off Shooters Hill Road. Representing the eastern boundary of our drinking territory, the Red Lion – like the Dacre Arms – is a truly excellent local pub. A fine period bar that occupies the heart of the pub offers plenty of space for sitting on a stool or standing, well, ‘at the bar’. Like the Dacre it offers no food (apart from crisps, peanuts, etc.) which mean it’s not swamped by children (ugh!, – sorry -, yay!). It does though offer a good selection of ales and spirits and a very warm welcome – quite literally: there’s a charming real fire to the right as you enter. Another highlight is the excellently stocked juke box which is very popular with all the punters. The landlord is a decent chap and there’s a proud link between the pub and the military, reflecting the nearby bases. Often there’s a traditional seafood stall outside the pub offering cockles and the like. It certainly warms the cockles of we Radicals – a real favourite which you should make the effort to visit. First-things-first. This is a Hungry Horse chain. As a consequence it is very much food and family focussed. Given this you’d be forgiven for thinking that we Radicals avoid it like the plague. In fact we don’t mind it. It has a strange, honest, charm – largely a reflection of the friendly folk that seem to visit the place. Darts board, pool tables (x2), poker nights and nice pictures featuring local heroes, of which there a surprisingly large number. We’ve already posted about the shocking act committed against one of these pictures, which has now thankfully been removed. Great blog, please keep this up ! !